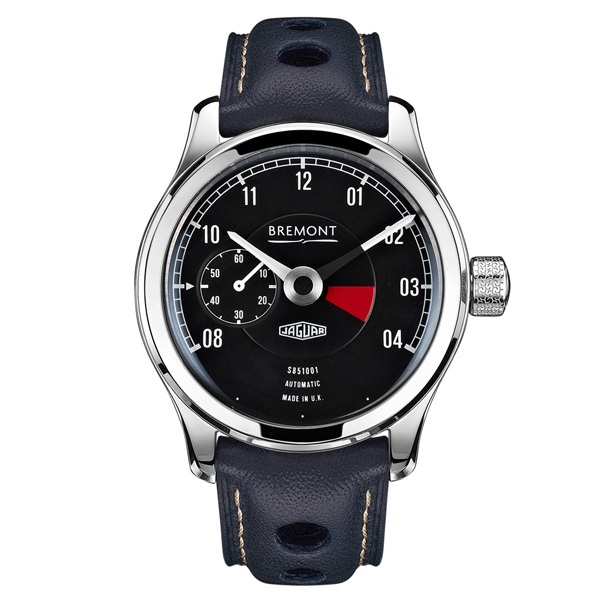 Today Jaguar announces further news in its relationship with the Bremont Watch Company and reveals one of six unique wristwatches to be offered to customers of the six new Lightweight E-types to be built by Jaguar Heritage. 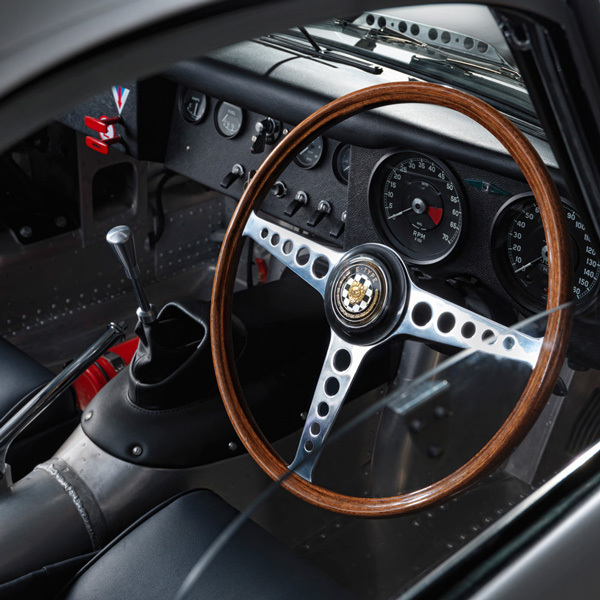 “The Lightweight E-type project is so special that we thought we really needed to create something which complemented the cars and, since most classic enthusiasts also tend to be horophiles, a wristwatch seemed to be the answer,” says Jaguar’s director of design, Ian Callum. 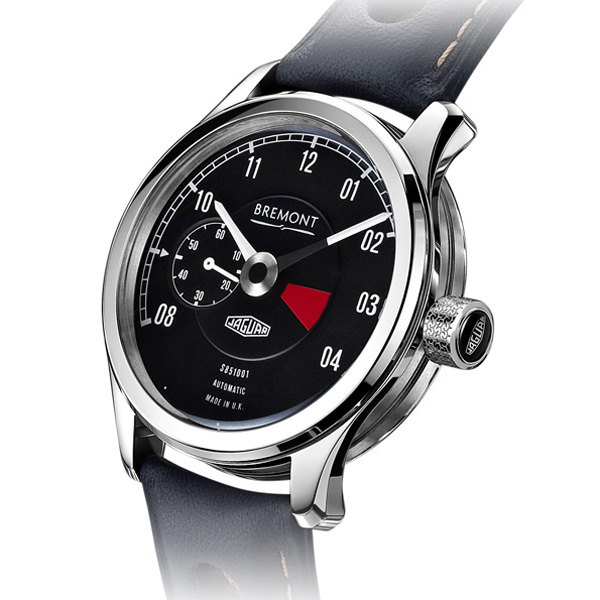 Giles English, who co-founded Bremont in 2002 with his brother, Nick, says the new Lightweight watches provided the firm with the perfect opportunity to take the important step of launching its own, proprietary movement. “We have been working on designing, developing and producing our first exclusive movement for more than a year, and it seems fitting that it is going to make one of its first appearances in this very special watch for Jaguar,” said Giles. Drawing inspiration directly from the car, the 43mm watch features a black dial based on the look of a Lightweight RPM gauge and featuring a subtle ‘red zone’ quadrant. 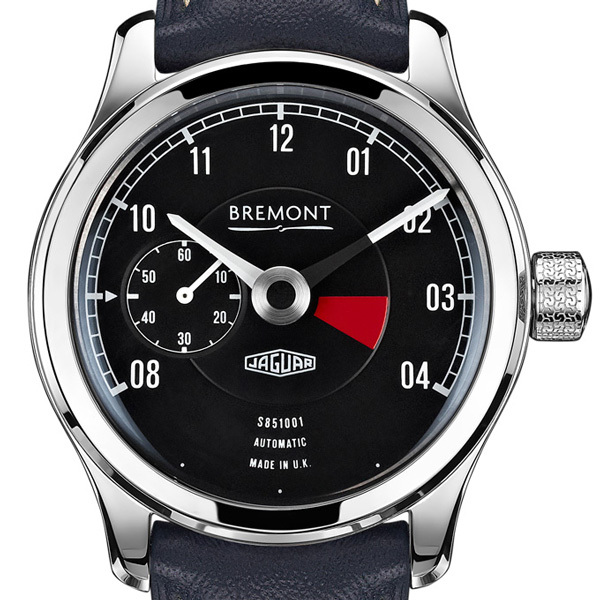 The chamfered hour and minute hands replicate the instrument’s tachometer needle, while the chassis number of the relevant car is printed at the six o’clock position. The central band of the white gold case is made from aluminium saved during the construction of the new Lightweight body panels and will be anodised to match the colour of the car it is designed to complement. Other touches include a winding crown which is engraved with the pattern of the period-correct Dunlop racing tyres which will be fitted to the continuation Lightweights, and straps made from the same Connolly leather which is being used for the interior trim. Turning the watch over reveals a further reference to the car in the form of the automatic winding rotor - visible through a sapphire crystal case back - which takes the form of an exquisite miniaturisation of an alloy-spoked Lightweight steering wheel, complete with authentic wooden rim. 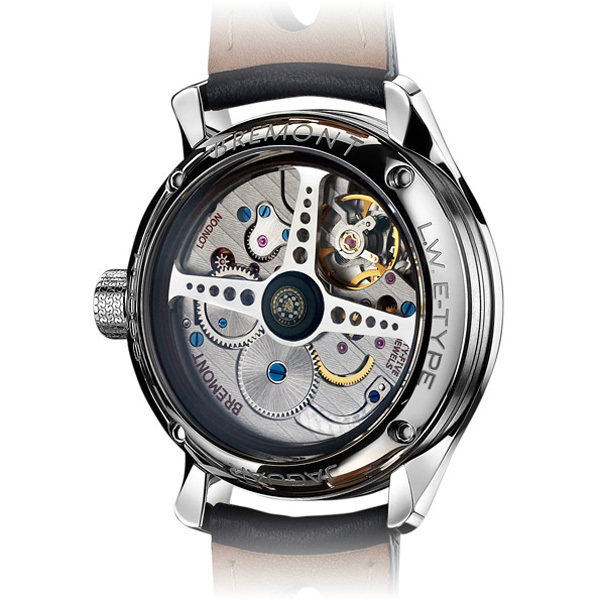 The back of each watch also carries the engine number of the car it is paired with. Jaguar first collaborated with the Henley-on-Thames based watch company during the launch of the cutting edge Jaguar C-X75 in 2010, for which Bremont developed a unique, analogue dashboard clock in keeping with the 778 horsepower hybrid supercar’s futuristic nature and 205 mph performance. The two quintessentially British firms have now reinforced their partnership following the announcement earlier this year that Jaguar Land Rover’s Special Operations division would complete the Lightweight E-type project through its Jaguar heritage division. The new cars are the ‘missing’ six vehicles from the ‘Special GT E-type’ project, which originally started in February 1963 with the objective of building 18 cars. 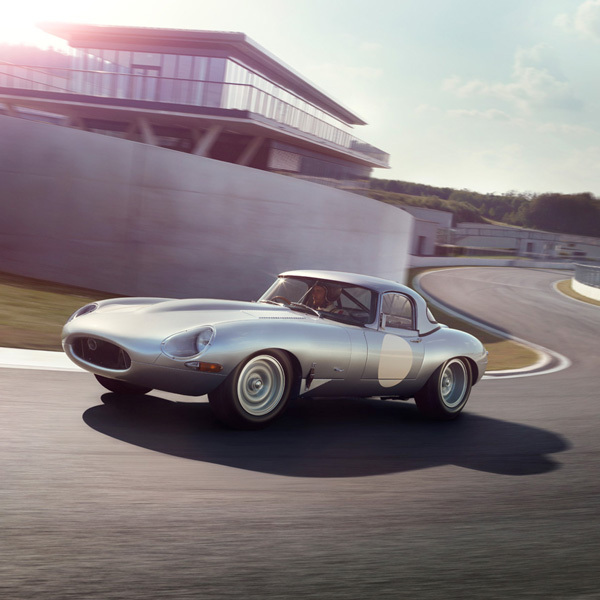 Only 12 of the aluminium-bodied Lightweight E-types were eventually built and the remaining six designated chassis numbers having lain dormant, until now. The six new cars will carry those original, historic Lightweight E-type chassis numbers. Each of the six cars will be built to the exact specification of the last Lightweight E-type produced in 1964 and will be hand-crafted at the original home of the E-type, Jaguar’s Browns Lane plant in Coventry, England. The cars will be sold as period competition vehicles and all will be suitable for FIA homologation for historic motorsport purposes. A race winner in the hands of a variety of famous drivers during its short competitive career, the car has achieved worldwide fame and original examples are now valued in the many millions. In recreating the Lightweight E-type, Jaguar Heritage has been able to call on the superlative skills and experience of many talented engineers and technicians already working in a variety of departments within Jaguar. The launch of this exclusive Lightweight E-Type watch marks the start of a long term relationship for Jaguar and Bremont. Future editions will be announced at a later date. Highly efficient double reverser bi-directional winding mechanism to achieve 28,800bph and 50+ hour power reserve. ROTOR Jaguar ‘Steering Wheel’ rotor. CASE 43mm white gold Trip-Tick® case construction with aluminium centre ring made from material saved during Lightweight panel construction. CASE BACK Exhibition type with integrated domed crystal, secured with 4 polished headed screws. DIAL Black dial based on Lightweight rev counter and marked with car chassis number. WATER RESISTANCE Water resistant to 10 ATM, 100 metres. STRAP Connolly leather, as used for Lightweight upholstery.